In an effort to save England’s bee population, building company David Wilson Homes created a design contest to create “hotels” to protect the country’s bees from the sometimes harsh British weather. 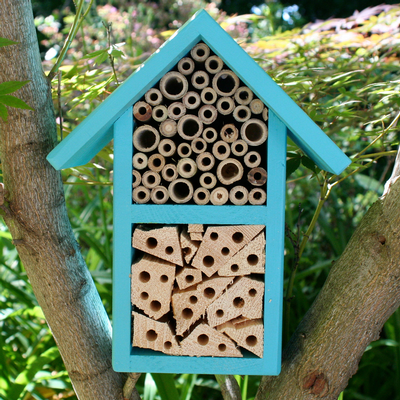 In an effort to save local bees, David Wilson Homes created a design contest for the best "bee hotel." Entries are being accepted through Aug. 28. The Northwich, England-based company asks community groups, summer camps, and playgroups to draw up plans for “the perfect bee hotel” for the contest’s Aug. 28 deadline. The best design wins £150 gift vouchers. This isn’t the first time the company has pledged its bee support. According to the Monmouth Beacon, the company grows bee-friendly plants at all of its building developments and is a corporate member of the British Beekeepers Association. Bee populations have been in rapid decline globally for several years. The company has also worked with students to raise awareness for the bee population by donating seeds and planting equipment in an effort to save the local bee population. Bee populations in the U.S. continue fall as well, but the Bee Information Partnership seeks to educate beekeepers on which management practices are most effective. 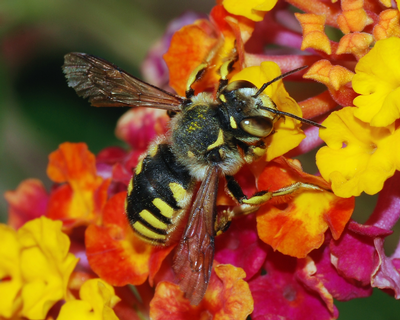 Wisconsin lost nearly 60 percent of its bee population between October 2013 and April 2014. Recently, harsh winters seem to be the blame, but, since 2006, the U.S. has lost a third of the bee population each year.